Midwest ComTel is seeking a person who is smart, honest, hardworking and extremely passionate about electronics and technology. 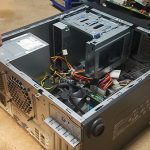 As an Electronics Technician your main responsibilities will include testing and refurbishing product – monitors, PCs, networking gear, POS and barcoding equipment and other types of electronic hardware – and assisting in developing new value-added services in the refurbishing market. 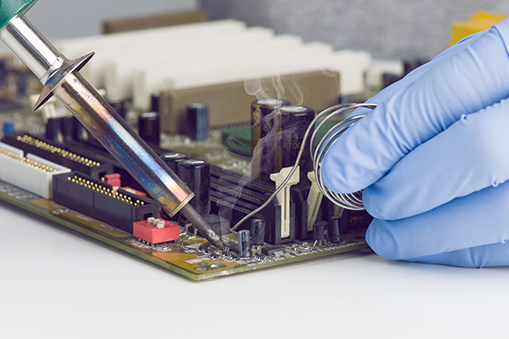 This position is heavily involved with electronics, it requires you to be on your feet most of the time and it also involves the use of an oscilloscope, signal generator, variable DC power supply and soldering equipment. You will also develop and document testing and refurbishing procedures, maintain an ESD protected environment and comply with our ISO9001:2008 and TL9000 standards that are related to testing. This position brings promising prospects for company growth and individual development. The opportunity to investigate economically feasible repair and refurbishing models in various vertical markets is real at Midwest ComTel because we have such a large variety of electronics coming through our test room. To capitalize on this, collaboration and a passion for stepping into the unknown is very important! Experience writing test procedures for Barcode printers, PBX and VOIP telephones, etc.